Deputy Defense Secretary refuses to speculate on allegations of sexual assault by MK from Jewish Home, says that is for police to determine. Deputy Defense Secretary Rabbi Eili Ben-Dahan (Jewish Home) refused to speculate on allegations that a member of his political party committed acts of sexual assault against multiple women. "I really don't know what is the story here and what isn't. I have no idea." he told Army Radio. "I believe that Minister Bennett spoke with the MK and that he says that he completely denies these [accusations]. I do not [know] more than that. I am not the police." "There is a presumption of innocence for everyone." he added. "We should wait and see how things turn out, and if there's anything at all [to the accusations]." Rabbu Ben-Dahan also addressed the efforts to pass the Regulation Law to legalize many Jewish communities in Judea and Samaria. "When the government makes a decision, all the parties which make it up have a commitment to [enforce] that decision. 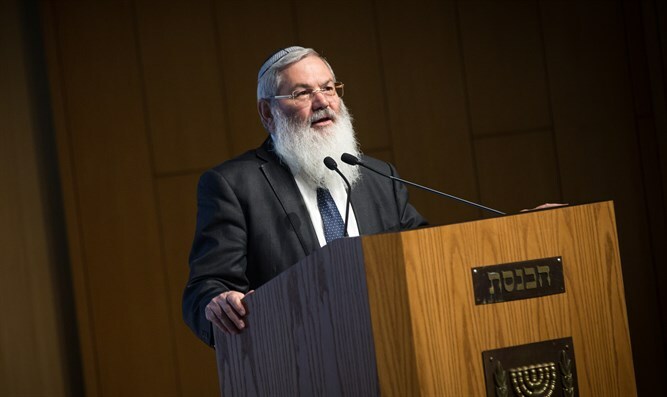 The Regulation Law was approved by the Ministerial Committee and, from that moment on, all the parties in the coalition are obligated to act in accordance with the ministerial decision," Rabbi Ben-Dahan said.